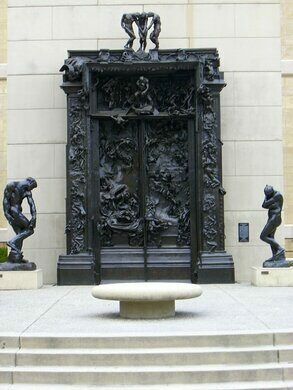 ‘The Gates of Hell’ is a massive sculpture work created by the famous French artist Auguste Rodin. 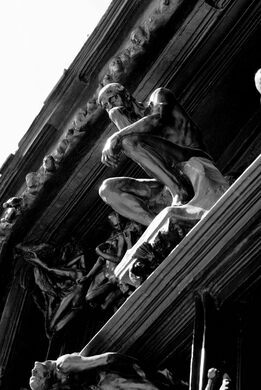 The imagery of the sculpture is based on a scene from Dante’s “The Inferno” and the gates stand roughly 6 meters high and 4 meters wide. 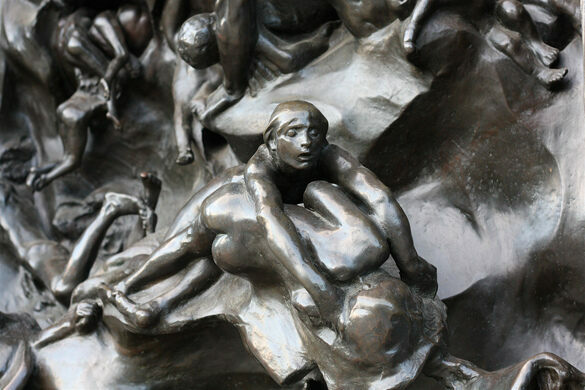 Of the 180 figures in the sculpture, many were later cast into separate effigies, and some are well known on their own. The most famous of these is “The Thinker,” the well-known image of the contemplative man seated and resting his chin in his palm. 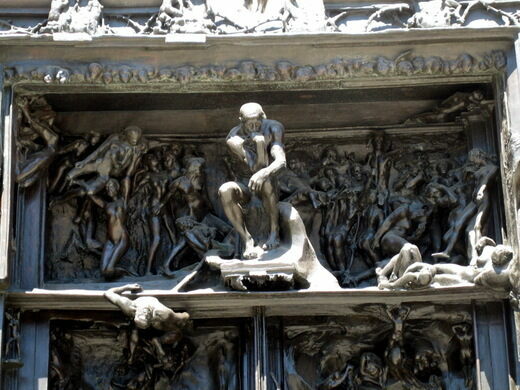 The sculpture was commissioned in 1880 and was originally to be completed in five years, but Rodin worked on ‘The Gates of Hell’ for some 37 years until his death in 1917. 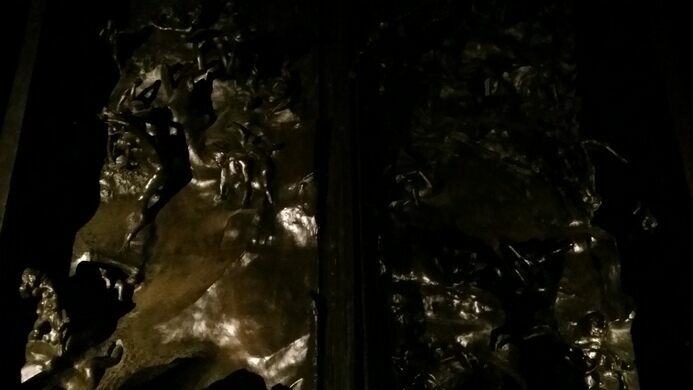 Rodin labored on his sculpture on the ground floor of the Hotel Biron, which, a few years after his death, opened up as Musée Rodin, displaying ‘The Gates of Hell’ and his other works. This exquisite piece of sculptural art has had a few casts made of it, but only six copies exist including the one in Musée Rodin in Paris. This one is on the Stanford University campus in the B. Gerald Cantor Rodin Scultpure Garden. The garden has 200 works by Rodin, most of which are cast in bronze, though the university has others in wax and terra cotta.